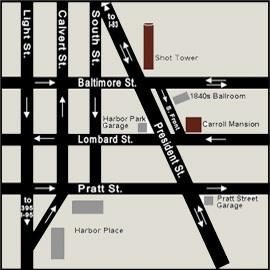 BALTIMORE (December 8, 2015): Carroll Museums, Inc. is pleased to announce the release of the Phoenix Shot Tower Mobile Game. This educational, multi-level game uses play to explore the science behind making drop-shot as well as the history of the Phoenix Shot Tower. Carroll Museums partnered with SierrAspen and Hibiscus Technology Solutions to create the mobile game. Major financial support was provided by the American Express Foundation. In this fourteen-level game, players ascend the 215 foot Shot Tower, which was once the tallest building in America. Collecting materials along the way to make drop shot and overcoming obstacles the player will virtually experience the Shot Tower climb. The game is designed to be suitable for all ages. The game is currently available for download to iPhones and iPads through the iTunes Store. 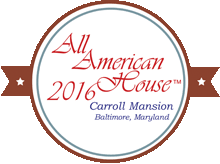 Carroll Museums is the nonprofit organization spearheading the revitalization of Baltimore’s Carroll Mansion (ca. 1811) and Phoenix Shot Tower (1823) through innovation, collaboration, and cultural stewardship. www.carrollmuseums.org. American Express is a global services company, providing customers with access to products, insights and experiences that enrich lives and build business success. The mission of the American Express Foundation is to bring to life the company’s value of good corporate citizenship by supporting communities in ways that enhance the company’s reputation with employees, customers, business partners and other stakeholders. Learn more at americanexpress.com/ and connect with us on facebook.com/americanexpress, twitter.com/americanexpress and youtube.com/americanexpress. Hibiscus Technology Solutions is a mobile, web, social and cloud application development company and has developed over 100 mobile apps for some of the top names in the US and abroad in the areas of media, travel, education, enterprise and technology. www.hibiscustech.com.